Under the Farmhouse Roof: What In The World!??!? 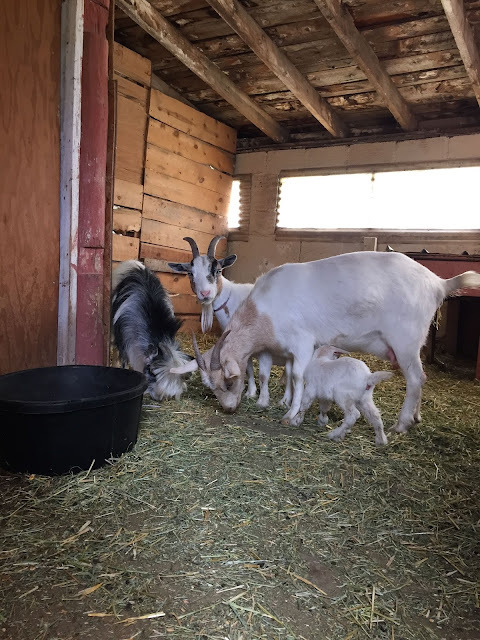 Goats are herd animals, and yesterday one of the goats wasn't with our small herd. 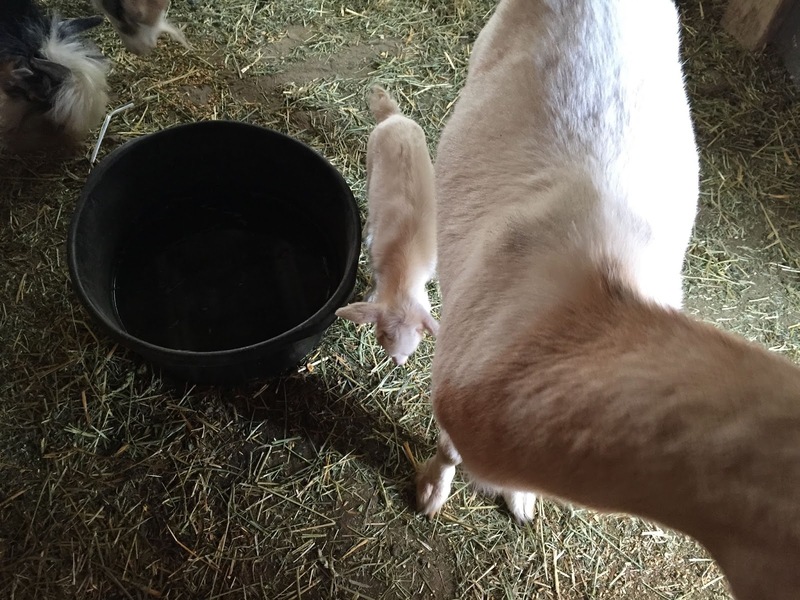 The Cowboy sent my Siah out across the farm to look for the missing goat, all the while wondering if the goat might be sick or something, because ALL four goats are ALWAYS together. We bought our goats nearly a year ago. 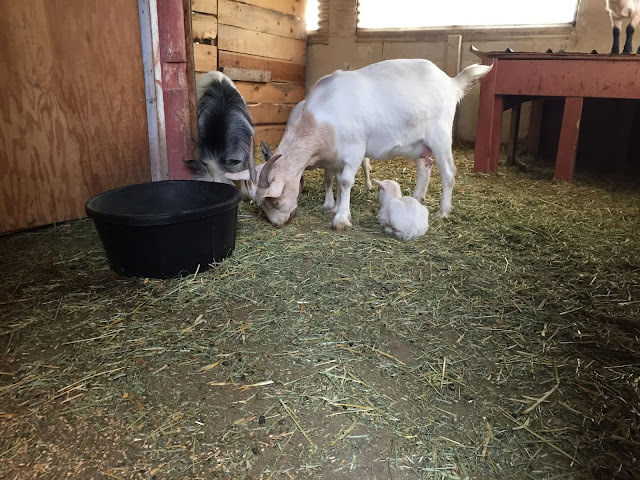 We have two boys and two girls and when we bought the boy goats we were told that they were weathered, meaning that they were going to be unable to impregnate our girl goats. 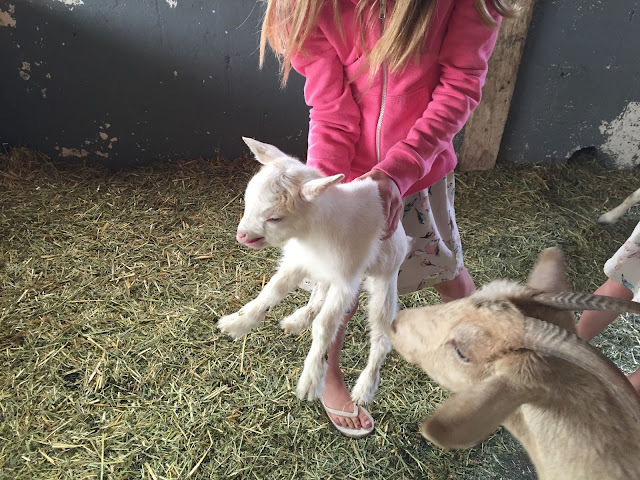 So when my Siah came running across the farm fields shouting, "There's a baby goat in the barn! 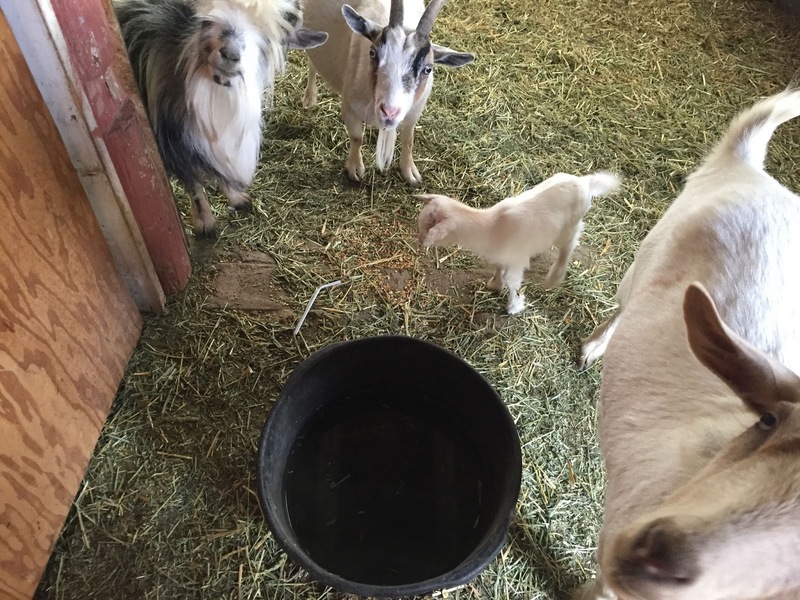 There's a baby goat in the barn!" We all kind of gasped and all went running! What in the world???? 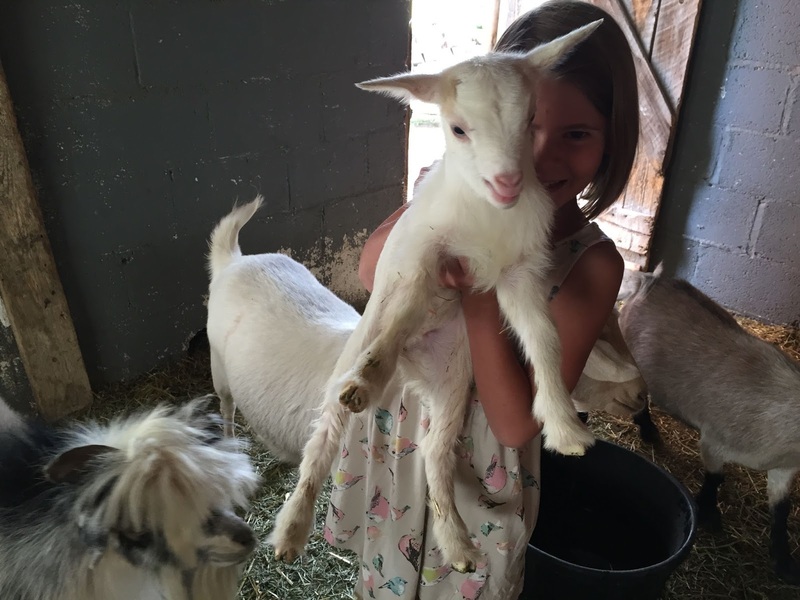 There must have been some kind of mishap when our boy goats got supposedly snipped... SOOO FUN!!! In the past 2 months we have raised a dozen chickens from birth. Watched 4 kittens grow up from birth. And now, we have a baby goat!!! 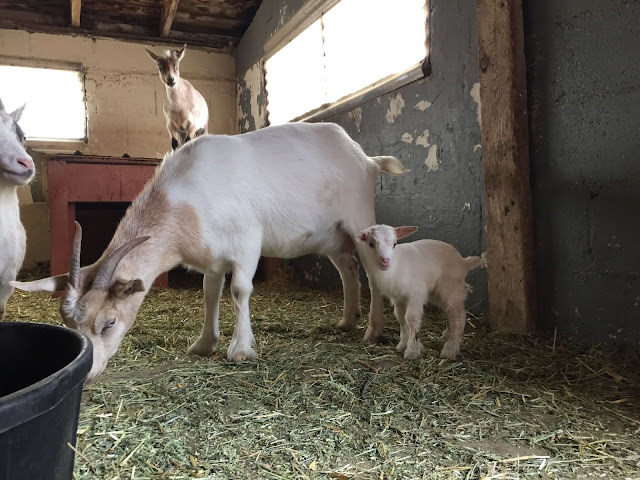 When we walked into the barn the Mama was still licking all the "slimy stuff" off of her new baby and there was still a ton of "slimy stuff" coming out of the back of the Mama goat. She literally must have just delivered her baby. 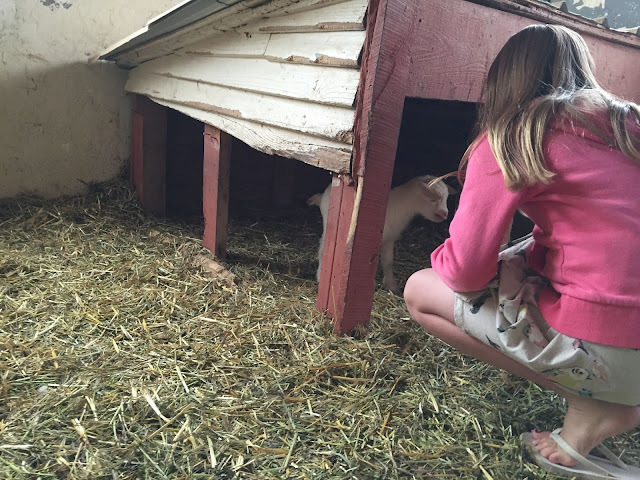 It 's such an awesome thing for our kids to see and I love that we all get to be a part of watching new life pop up all over our little farm. There are good, and real, life lessons that come along with such events. What I love is that our kids just call it like they see it and the things of life, like child birth, are not strange to our kids, but beautiful, which is exactly the way the Lord meant it to be. So as we're all crouched down looking at our newest edition, my Hal says, "Hey Mom. 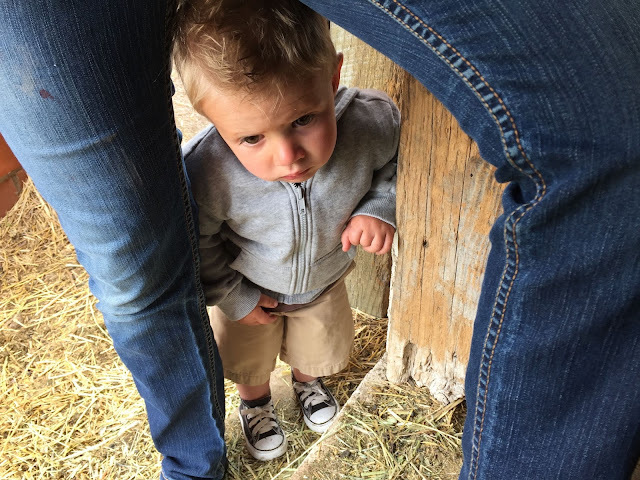 "Is all that nasty slimy stuff going to come out of you in a few months when you have our baby?" To which I answered, "Yep, pretty much." Like I said, it's the real deal here. 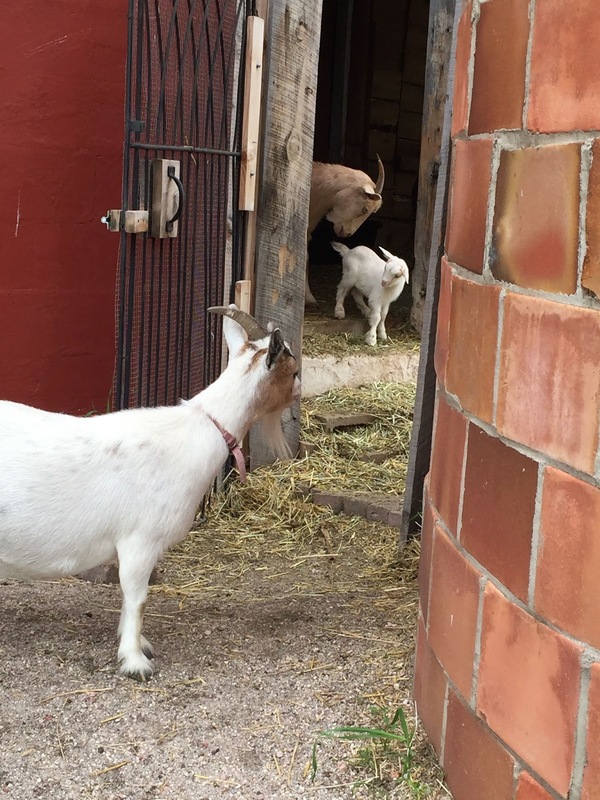 When we went hunting for the missing goat yesterday, no one was expecting this. And now we couldn't be more thrilled. I know what all you long time friends are thinking, "what has gotten into Kacy, the animal hater??"